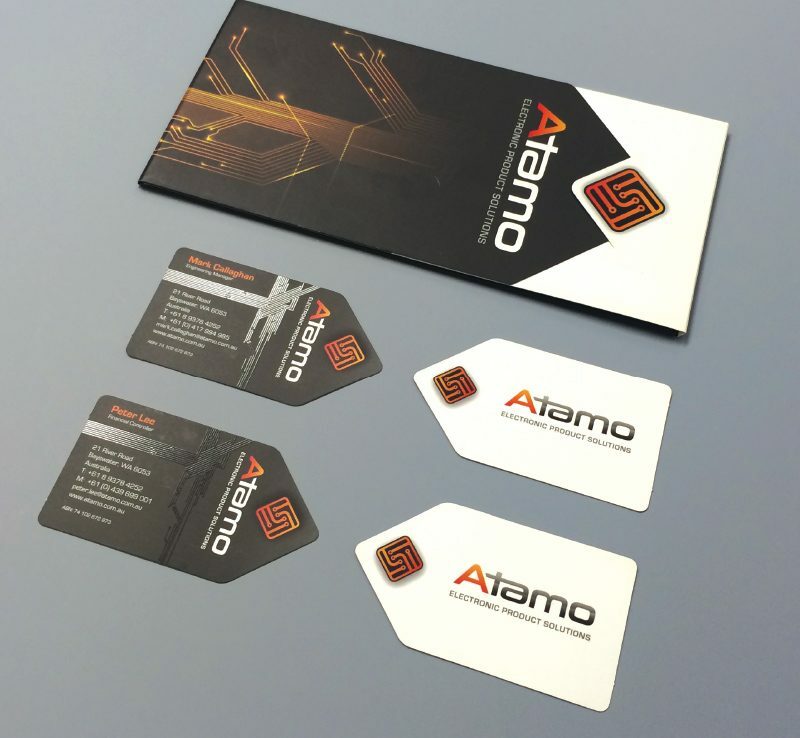 Atamo is a Perth based company with many years of experience in building and operating electronic technology to help businesses design and build new electronic parts for one of existing and new products. One of their great skills is in the creating of complete and complex electronic systems for clients to utilise and sell in teir custom operating product or systems. They also help in establishing commercial agreements with manufacturers, distribution channels and field support contractors. 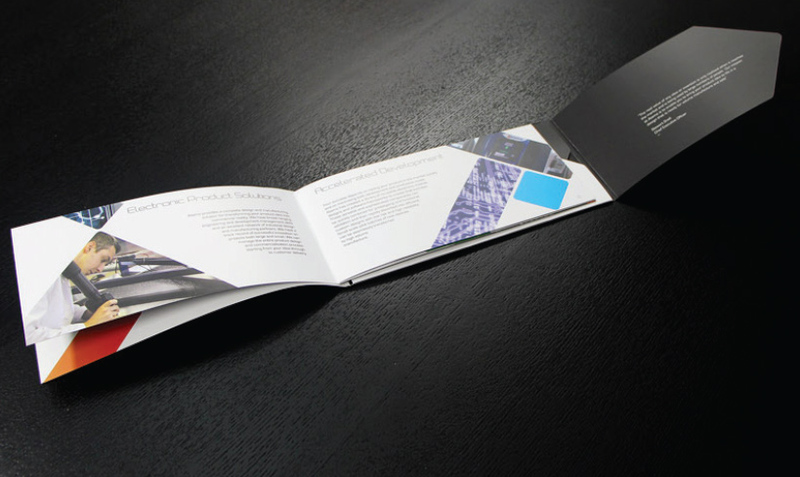 We were initially engaged to create a DL brochure which would highlight their various business services. At the completion of the project, Atamo had commissioned us to create a complete new brand which we rolled out throughout the stationery, business cards, signage, website, digital presentation documentation and other elements requested. The crowning glory of this commission for our creative agency was the bespoke and custom die design of a corporate folder combined with a DL brochure insert. What made this element so unique was the detail of the specialised die cut and spot UV finish, combined with the hidden folded section which enticed readers to open and peruse the client testimonials. This was an extremely successful piece of work for for both Atamo and their clients. A key deliverable for this client was the creation of a style guide which would allow greater control within the various stakeholders of the company to ensure consistency and continuity across internal and external communication. Furthermore, we have since worked with the company in the development of graphic visuals which have been utilised on/with many products for display, packaging and specific visual communication devices inherent within and applied to products.